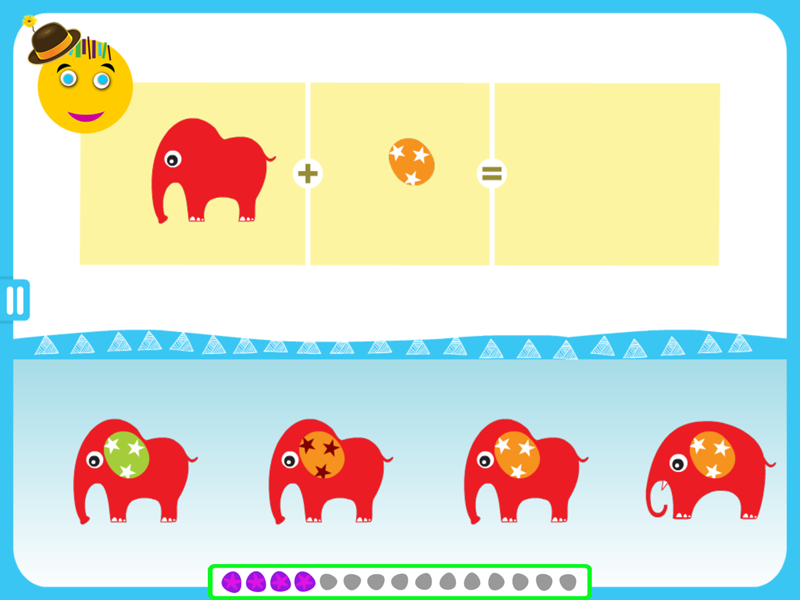 The next MITA game requires a new skill: mental integration! 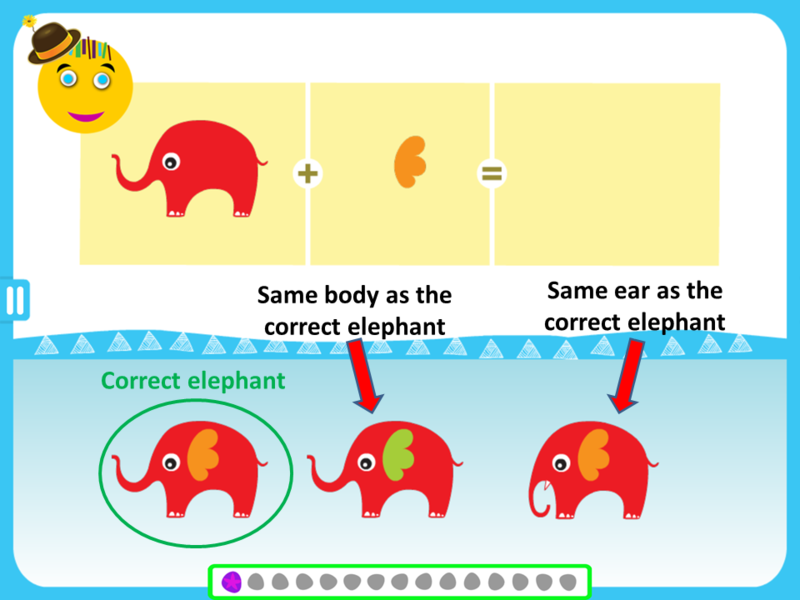 In the Combine Elephants game, a child is presented with two separate images of an elephant’s body and ear, and a choice of complete elephants (on the bottom of the screen). A child must find the correct complete elephant and place it into the empty square. 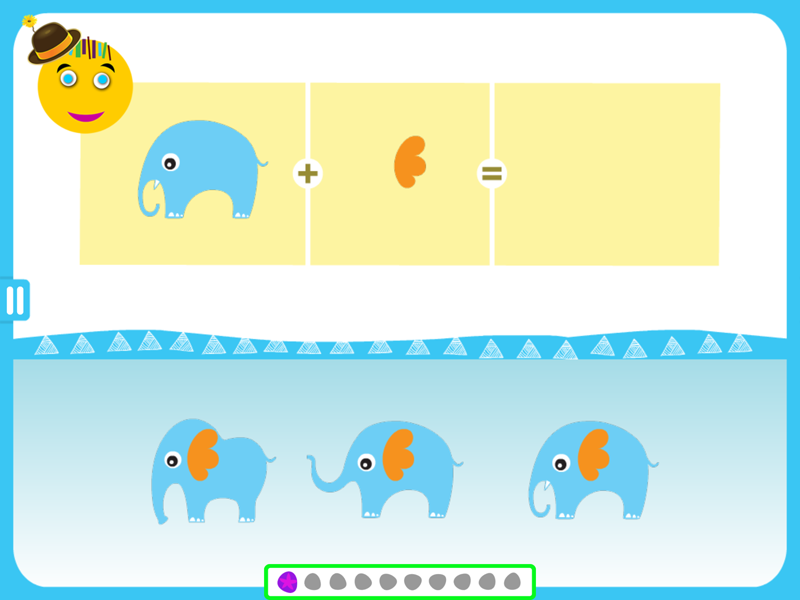 This game is more difficult than previous games because it requires not only attending to a variety of different features in both the elephant and its ear, but also combining the two pieces into a single image (in other words: mentally integrating the separate elephant parts into one unified gestalt). 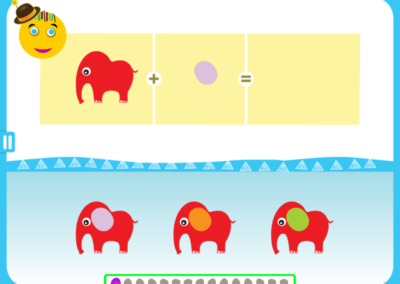 As in previous games, the distractors force a child to attend to a particular feature of the elephant, such as the color, shape and orientation of the body, as well as the color shape and details of the ear. 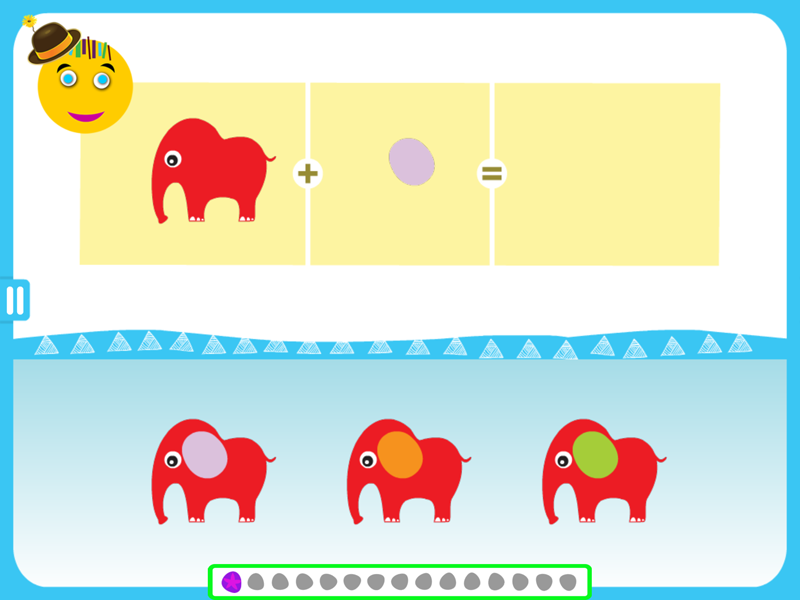 Once a child demonstrates an ability to attend to one cue at a time, he or she will move on to levels that require attention to multiple cues. 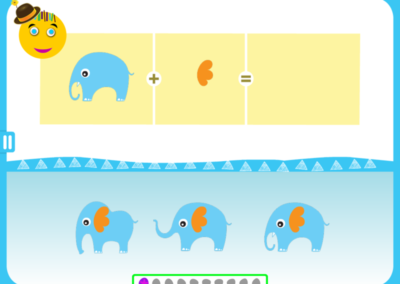 For example, in level 20, one of the distractor elephants has the same body as the correct elephant, while the other distractor has a matching ear. 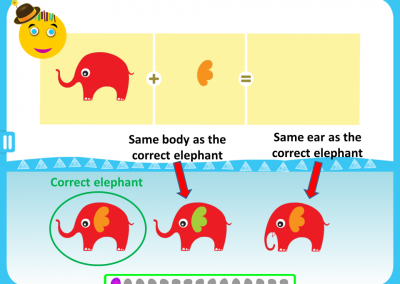 This selection of distractors requires a child to pay attention to BOTH the body and the ear in order to find the correct elephant. 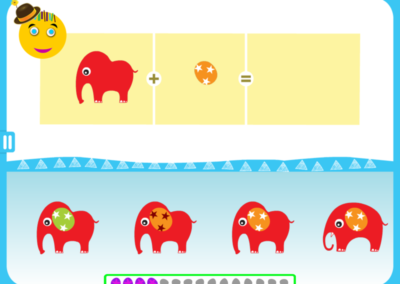 Subsequent levels introduce additional features such as ear ornamentation, and add a fourth distractor elephant to ramp up the difficulty. In one of the final levels of the game, the distractor elephants force a child to attend to the elephant’s shape, ear color, as well as the color of the stars in the elephant’s ear.